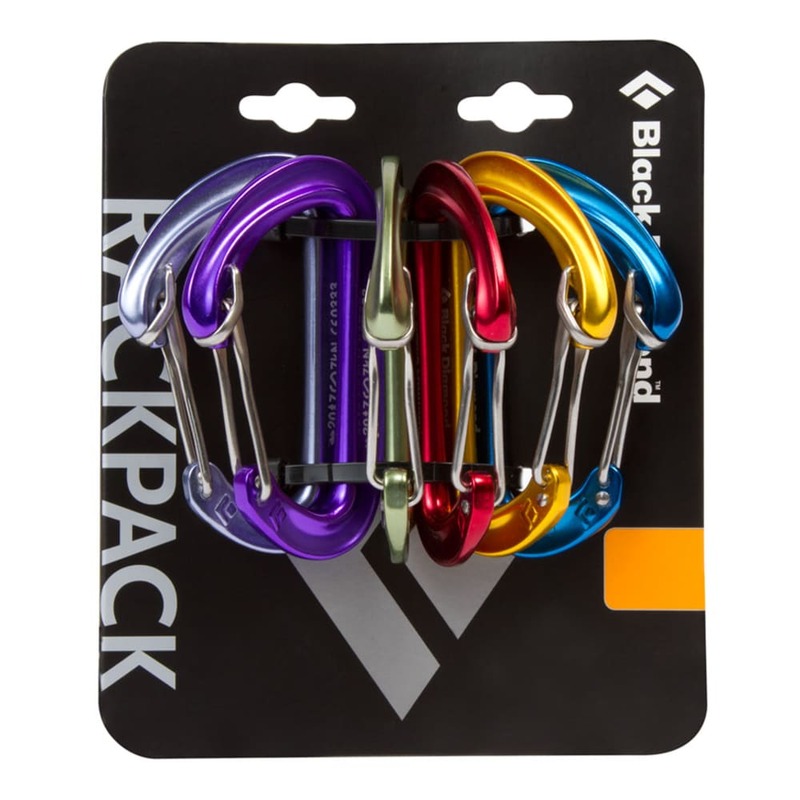 When you're pumped stupid and digging for that crucial cam, you'll be glad you racked up with the Black Diamond Oz Rackpack, which features six hot-forged Oz carabiners, color-coded to ease cam identification. the HoodWire Technology uses a patent-pending stainless steel wire hood to bring keylock functionality to wiregate carabiners without losing the lightweight and anti-freezing benefits. And thanks to the Oz's optimized geometry, it holds strong as the lightest carabiner in the line.